This page contains a single entry by Ginger published on February 1, 2018 8:47 AM. Your Questions Answered was the previous entry in this blog. Just Launched: ButlerTech.org is the next entry in this blog. Networking has long been a cornerstone of professional success. In this technological era, much of it now happens online - which is why websites are critical tools for professional organizations. 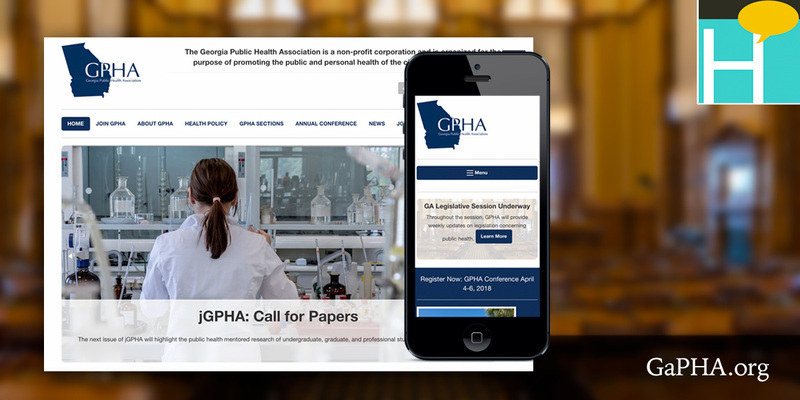 The Georgia Public Health Association is a network for public health professionals, with hundreds of members across the state. GPHA hosts an annual conference each spring which is great for face-to-face interaction. But in the intervening months, it's still important to stay in touch with current members, and recruit new members as well. GPHA is a long-time client of Heideldesign, and wanted to begin 2018 with a design refresh. The organization was looking for a more modern aesthetic, better content organization, and a way to showcase its online journal, jGPHA. The result is a new WordPress site with more white space, better utilization of photography with a home page slideshow and featured images for news posts, as well as a custom layout for the online journal. In addition, the home page now has a dedicated banner for posting updates about the conference, as conference promotion is one of the most important functions of the site. 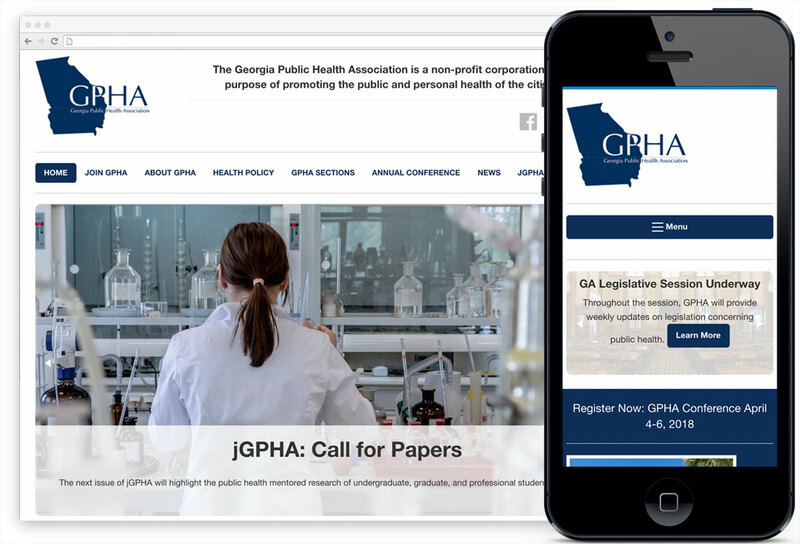 Public health is a rapidly advancing industry, and GPHA needed a website that reflected its evolution too. The new site is fresh and professional, and will keep members connected all year long.